I miss you terribly and hope the company will soon recognize my talents and promote me to vice president in charge of sales so I may enjoy your company more often. With luck, I shall return to you by the first of August. The weather in Colorado is pleasant enough but I would sacrifice my comfort to be under the torrid Texas sun with you and the children. Tell the children I shall take them on a great camping adventure before school starts. How is Edwina recuperating from her bout of measles? I must be off to my next appointment in a nearby town called Red Bud. It reminds me of your lovely locks. 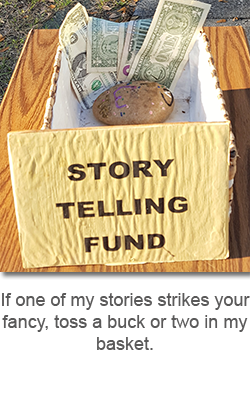 This entry was posted in Stories and tagged family, love, short story, storytelling on September 11, 2018 by jerrycowling.